I loved my Canon AE-1. I still have it somewhere. But because it uses analog film, and since I more or less gave up on shooting onto silver-halide stock in the late 1990s, it has been tucked away in a box on a basement shelf. Since then, I’ve used a series of inexpensive digital cameras to document life and professional events, and to illustrate articles. But you know what? 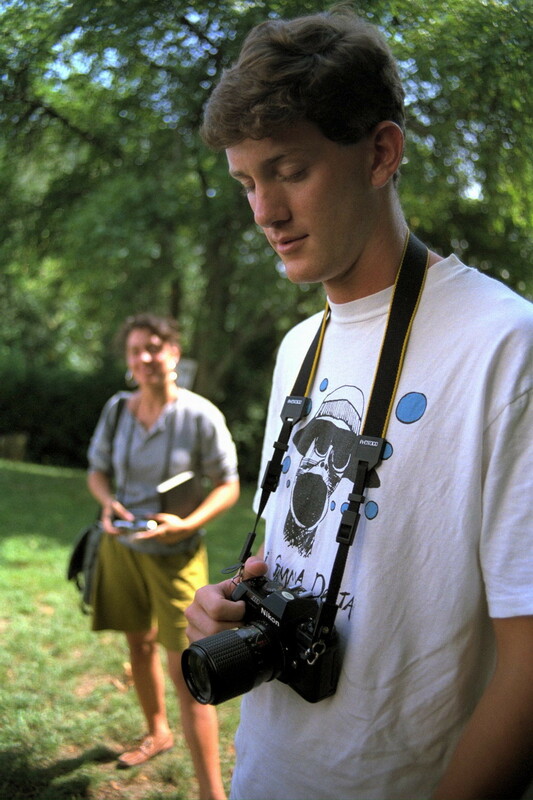 In that time I haven’t felt the same joy of photography that I had when shooting with the AE-1. Indirect Viewing — Part of my long delay in finding a digital camera that matched my aesthetic desires was simple cost. Decent analog film cameras, especially purchased in good used condition, used to be cheap. I believe I paid about $200 for my AE-1 and a good zoom lens at 42nd Street Photo in New York in 1989. It was a single-lens reflex (SLR), which was typical for all cameras with interchangeable lenses and good optics. In an SLR, the image passing through the lens is reflected at a 45° angle by one mirror behind the lens pointing upward to a complicated prism behind the viewfinder. The image in the viewfinder is thus exactly what the lens sees and what will be exposed onto film. When you depress the shutter-release button, the mirror behind the lens flips out of the way to allow photons to hit the film stock. It’s a clever trick. 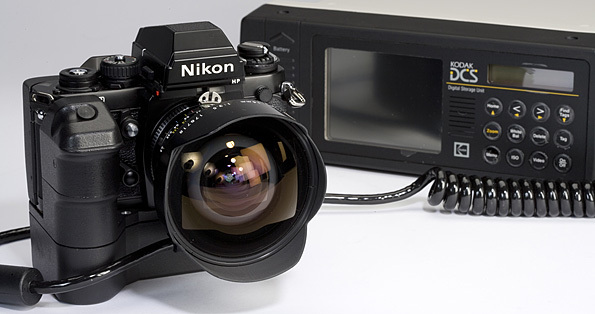 This mirror apparatus was adopted in digital SLRs (DSLRs), too. In contrast, snapshot cameras had a separate, low-quality viewfinder lens that was offset from the main lens, making the preview in film cameras accurate from a distance, where the lines of sight converged, but terrible at close distances. If you ever wondered why you inadvertently cut off the top of someone’s head taking a snapshot, now you know. Inexpensive digital cameras used — and some still use — optical viewfinders or omit a viewfinder in favor of a camera-back LCD view through the main lens. That experience may have spoiled me. It was quite a few years before a quasi-affordable, all-in-one DSLR appeared, and it still cost many thousands of dollars. As with the DCS 100, the market was a slice of professionals (and crazy amateurs) for whom shooting directly digital and bypassing film development and often scanning was worth the cost. Such photographers had already invested thousands of dollars in lenses that worked with a specific line of camera bodies from a single manufacturer. This category included sports and news photographers and, eventually, event photographers on cruise ships and at cheerleading matches, to name a few. The expense of fast darkroom work coupled with the ability to preview and reshoot immediately justified the value through reduced costs and increased sales. Rinky Tinky, but not Stinky — Yours truly was neither a professional nor made of money. I moved from photography and graphic design into book editing and writing and then into Web design, programming, ecommerce, and conference coordination. None of these justified a $5,000 camera (or even a less-expensive DSLR as they gradually dropped in price in the noughties). Then I had one child and another, and I didn’t want to be one of those parents lugging around a camera and a collection of lenses, focused more on capturing the event for future reference than carrying my children and being in the moment. I didn’t think my back could support both, either. The troubles with snapshot digital cameras are manifold. The automatic settings produce a decent result most of the time, but rarely a great one. The depth of field — the area in focus between two hypothetical planes perpendicular to the direction you’re pointing the lens — is often locked at an extremely deep range or even “infinite” to ensure that pictures are in focus. Lens quality is middling to good, but lenses are rarely interchangeable. Fast shutter speeds are often not available or add enormous amounts of noise because the camera can’t record light for large depths of field fast enough except in bright sunlight. Manual adjustments may be available, but require so much button pushing and fussing as to be too much trouble except in studio conditions. Sensor sensitivity is relatively low, making indoor shots impossible without a flash. The built-in flash produces very hot, blown-out images and has a short range. There’s also a slight but noticeable lag between depressing the shutter button and the camera’s electronics capturing the image. That lag has diminished enormously on the low end over time to a point where it’s almost, but not quite, gone. Richard Benson, former dean of the Yale School of Art and a MacArthur Foundation “genius” grant recipient, once said that the lag in digital cameras broke the compact that had existed since the dawn of photography: you’re capturing an image at the exact instant you push the shutter-release button. The last of these in the snapshot series I purchased, partly on the recommendation of fellow TidBITS editor Jeff Carlson, was the Canon PowerShot G11 for exactly $500. Jeff was writing an updated book on the G11 and G12 models for Peachpit Press, and although he has been a DSLR shooter for a while, his experience with those cameras convinced me that I could bump up a bit. It also accepted lens extensions, such as ones for wide-angle and macro shots. And it was a significant improvement in terms of image quality and manual control, as well as for indoor photography. I shot with it quite happily for a few years. I longed for more, but my pocketbook didn’t agree unless I had a business purpose for it. However, as my children aged and needed to be picked up less (I can hardly carry my older son now), giving me both hands free more often, I grew more interested in a new breed of cameras that I thought might bridge the cost and form factor divide that had kept me on the low end. I also won two episodes of Jeopardy, and was authorized by my partner in family finances to live a little, and buy a model of a new breed of camera — the mirrorless camera. Breaking the Mirror — Mirrorless cameras have many of the attributes of both high-end and low-end cameras. The name itself explains what they’re about: the DSLR’s mirror has been removed. Instead, a high-quality viewfinder reproduces precisely what the image sensor sees. The same is true for the LCD in the camera’s back. But the quality of the optics and sensors is typically nearly or every bit as good as more expensive cameras. Removing the mirror has four associated benefits. The camera body is less deep, because it doesn’t need the apparatus to flip the mirror. Removing that mechanism means one fewer part that can break and reduces the amount of dust that can get into the lens system. The camera is lighter. And the cost is lower, sometimes by several hundreds of dollars, than a similar DSLR camera from the same maker. The biggest downside is the sensor. Because the lens is closer to the sensor, the area exposed has to be smaller in area to leverage the existing interchangeable lens manufacturing infrastructure. Requiring a different lens diameter and internal workings wouldn’t make such cameras cheaper! The decrease in body depth also means that the length of a 35mm-style DSLR lens (like a 25mm wide angle or 100mm telephoto) has to be multiplied by a factor from 1.3 to 2.7 to produce an equivalent for those familiar with conventional lenses. If you’re new to mirrorless cameras and have no DSLR experience, you may also experience some confusion if you move among different camera types that have different factors. Sing, O Photographic Muse — Jeff was again my Virgil, guiding me through the nine levels of camera marketing hell until I emerged with a divine choice: the Sony NEX-6. It’s similar to the NEX-7, but has a lower-pixel-count sensor and costs about $150 less. With a 16mm-50mm (equivalent to a standard 24mm-75mm) power zoom with in-lens stabilization, the price before tax was about $1,000. (Thanks, Alex Trebek!) I added a compact case, a spare battery, and a UV filter (to avoid scratches to the lens proper) for not much more. The change in shooting was remarkable. The Sony NEX-6 feels closer to my old Canon AE-1 than any camera I’ve owned, and its compact size and light weight reminded me more of that model than any DSLR I had tried in the interim, too. While it has a slightly wonky interface, the NEX-6 lets me easily flip through which variables I want to control and which I don’t. It has the feel of driving a hypothetical manual/automatic/autodriving hybrid car, where one could switch on demand between power and unassisted steering and the full control of a manual transmission and the joy of a well-built automatic one — or let it drive entirely if you needed a nap. It allows me to take over as I wish instead of limiting me or turning it all over at once. The focusing controls offer a prime example. As with most cameras, there’s an option to focus manually or automatically. The zoom lens has two outer controls on it: a curved switch on its barrel that works all the time, and a manual focus ring on the end of the lens that works as a zoom control when automatic focus is turned on. But the mixed AMF (advanced manual focus) mode gives the best of both worlds. Autofocus engages until you press the shutter button down slightly to lock in a setting. Now the focus/zoom ring on the lens switches to focusing, and you can modify the focus from the point you set — or leave it alone. As the weeks go by, I’m finding that the camera, unlike others I’ve used, isn’t full of compromises for which I have to develop workarounds that never become second nature. Rather, the camera has enough depth and control that it is teaching me. The more I use it, the more I discover how to use it better and take advantage of ever more features. It has already paid off in the form of dozens of photographs I’ve taken for work purposes, including a set that I shot while visiting the Jet Propulsion Lab in Pasadena, CA, for a series of Economist articles. 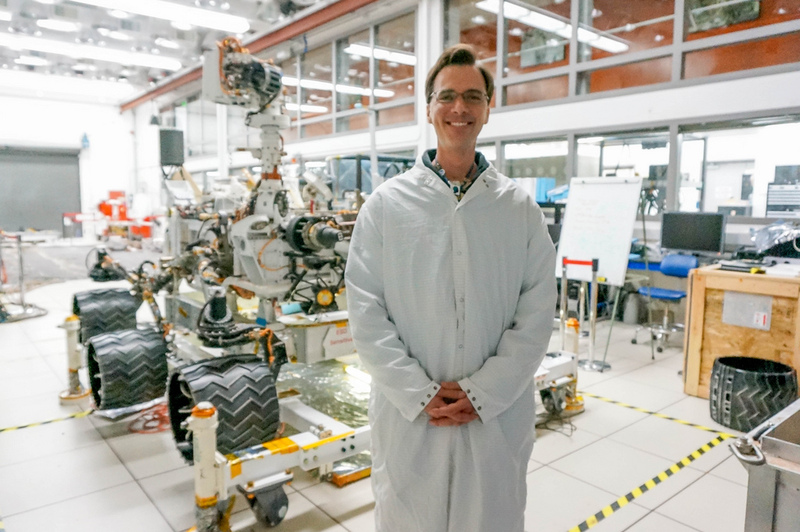 I was given a tour of the “sandbox,” an indoor space where identical versions of the Mars Opportunity/Spirit rover type (a third sibling) and the Curiosity rover are housed to test out maneuvers when 3D computer simulations aren’t enough. Without the new camera, my pictures in that space would have been terrible. Instead, a series was used online to accompany one of my articles, and one appeared in the print edition of the magazine. It has also been marvelous to take more vibrant, sharp, and interesting pictures of my family and friends. One cannot emphasize too highly how much having a shallow depth of field affects the perception of a photograph. You know the effect: The background and near objects are hazily out of focus, while just the key part (often a face) is sharply defined. I have heard it explained that the reason we identify with such photos, and why they feel subjectively better, is that a shallow depth of field matches our vision, even though we don’t perceive it directly. Look at a near object, and try not to change focus on it, but use peripheral vision to examine the focus of the rest of your vision. You may never have noticed it before (I didn’t until it was brought to my attention), and now you will never be able to un-notice it. A shallow depth of field is possible with cameras other than DSLRs and mirrorless ones, but it’s much harder to squeeze out of them. New Love for an Old Art — I never lost my love affair with photography, but my ability to match what I wanted to achieve with what I could produce had such a large gap that I was a listless shooter for a long time. A determined and clever person could take a snapshot camera and achieve results better than I. A strong memory from my time at the Kodak center was of Richard Benson poking at our early-generation Kodak color copier. We couldn’t get good results out of it, and used it only occasionally. He, a genius printer in both analog and digital realms, ran a number of tests and calibrations, and soon had the thing singing, making images of such vibrancy and accuracy that we goggled. There are certainly snapshot artists, too, just like smartphone artists, who can extract the best from a cheaper or otherwise limited camera. But I’m too much of a pretender for that. I need a camera that gives me more capabilities while I learn to use it instead of letting me down whenever I need an assist, and the Sony NEX-6 is that camera for me. 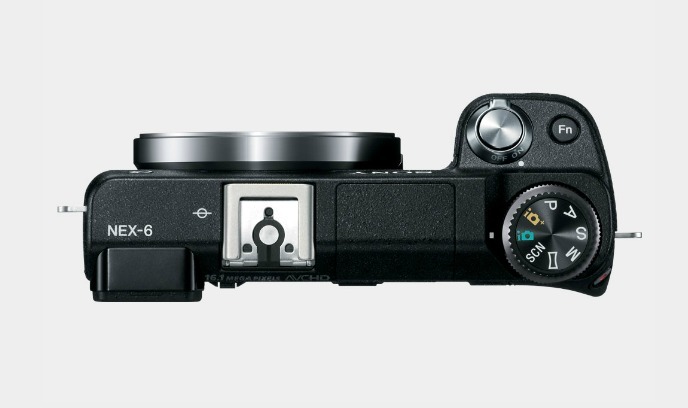 Nitpick (and you probably know this but still): the Nex 6 has the same size sensor as the Nex 7 (APS-C). It's just the number of megapixels that's different. Calling it a smaller sensor is slightly misleading. Otherwise, interesting article! Thank you. I stated that very poorly. It's now revised! The point I would make is — I have that now, finally! I believe that Virgil--not Beatrice--was Dante's guide through the nine levels of hell. At least I hope that Jeff was not eating a pomegranate and carousing with Lucifer while you took pictures. Ach du lieber gott! You are right. I'm still using my 19 years old Leica M6. No automatic. You have to focus, select shutter speed and aperture. Fortunately there is an accurate light meter built in. I like the «plop» when releasing the shutter. You have full control but have to know what to do. Image quality is excellent. Unfortunately Kodak stopped production of Kodachrome, the best film ever. Digital photography is convenient but not authentic. Authentic? Maybe you shouldn't be using that film stuff and go back to glass plates. Or coated metal. But you still have complete manual control of the NEX-6. And I have my Leica M4P and M3 sitting in their bag with extra lenses (incl. the superb 90mm f2 Summicron), sadly unused for many years along with the Gossen Lunasix 3 (although I knew exposures intuitively). My happy snappy for some time has been a Lumix DMC LZ7. Superb results from setting up spot focus and exposure control and knowing about light. It's not the tool, it's all about light and 'the eye'. That fabulous Leica glass will work just fine on an NEX-6 and, guess what, you still manually focus but you have a very good metering system and some good focus tools. I use an NEX-7 with a wealth of Leica lenses, both M and R, and am very happy with the results. Now if Sony came across with a full frame NEX camera it would be a good competitor to the new Leica M but with less shutter lag. Nice article. Back in the days of chemical photography, my DSLRs were generally Pentax or Olympus (Canon or Nikon would have blown my budget), and I put up with the annoyance of schlepping and switching multiple lenses. As soon as digital photography became affordable, a single-lens ultrazoom's portability and convenience for me outweighed its disadvantages. My first was an Olympus C2100 UZ, which delivered astonishingly good images with only 2 megapixels. My current camera, a Panasonic Lumix DMC-FZ28, draws envious glances from my son, whose Canon EOS 5D with lenses and other gear must weigh 35 pounds. 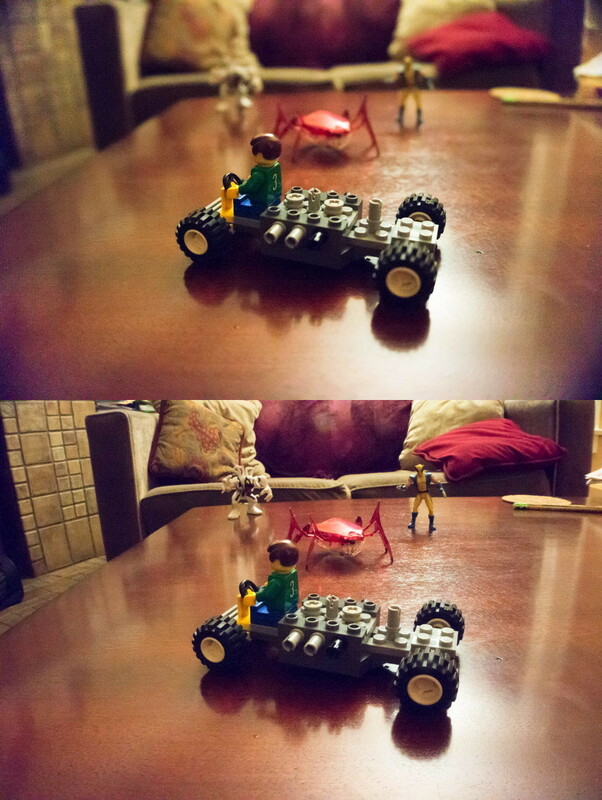 A comment concerning depth of field: It's equally controllable in any camera in which you can control the aperture. Large aperture yields small DOF, and vice versa. We bought our camera last year, before the NEX-6 was introduced, and went for the NEX-7... superb camera and Glenn's comments are spot on. Only minor disappointment has been the slow arrival of Zeiss lenses. A really cool thing is that everyone hated the easy-to-press-by-mistake video trigger; a software update now allows that to be disabled via a menu option. Interesting article. I also migrated from the AE-1 and a few FD lenses and one Tokina zoom/maco. Not being a pro, I couldn't justify spending a lot on a camera system. Went for the NEX-7 and I get to use my old lenses. The only thing that I don't like, IMHO, is the light weight of the camera and Sony lenses. I used to use my left hand to hold the camera/lens and to focus. I even have small hands. I have to be careful to not move even with IS turned on. However, for traveling, this camera will be ideal. If I'm taking shots where I have more time, I actually prefer to use my old lenses in maual focus mode. The FD 50mm maco has great bokeh.